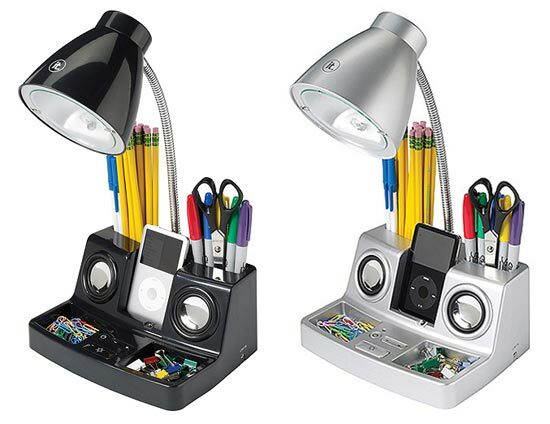 Here’s a fun accessory for your iPod or MP3 player, the TuneLight MP3 Speaker System. 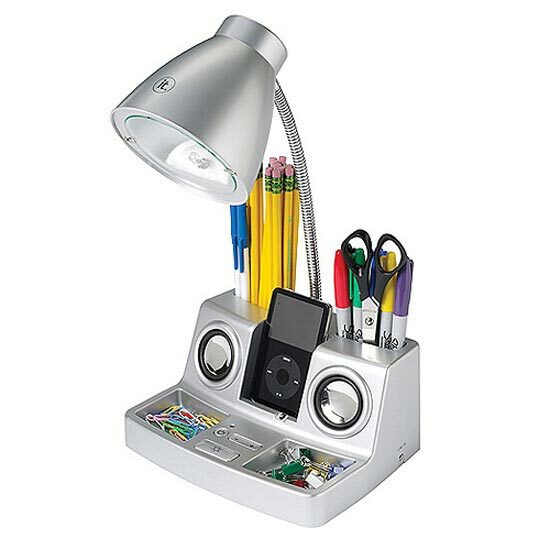 This fun accessory will work with all iPod’s and MP3 players, and as well as being able to play your favourite tunes through the built in speakers, it also has a built in desk lamp and desk tidy. The TuneLight MP3 Player Speaker System is available for $19.99 from Gracious Home, and comes in a choice of black or silver.